Kanya Viljoen graduated as a Theatre and Performance student, specializing in theatre-making, with a distinction from the University of Cape Town in 2017. 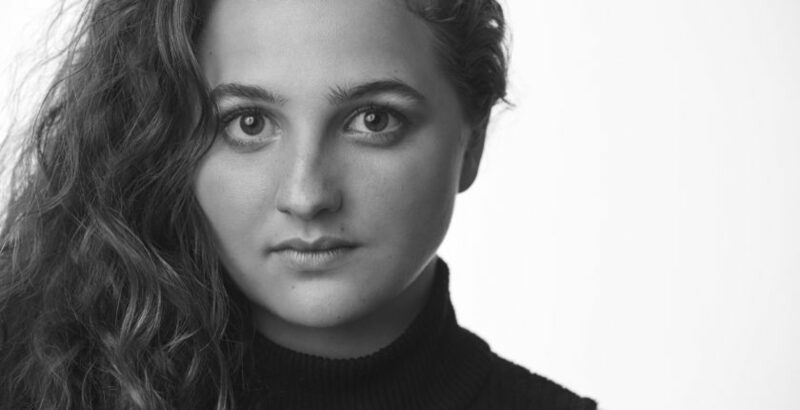 Kanya has been privileged to work on many productions during the time of her studies, including performing in Francesco Nassimbeni’s All of It, Everything, Now, Together(2017), Nicholas Ellenbogen’s Murdering Agatha Christie(2016), Juliet Jenkin’s I Want to Live in Woolworths (2016) and Etienne van Heerden’s Lied van die Boeings (2015), a cabaret directed by Amy Jephta. Recently, Kanya wrote and directed RAAK, which debuted at the Free State Arts Festival and was nominated as Best Production of the festival. Furthermore, it has been nominated for two Kyknet Fiësta Awards and Kanya has won the South African Theatre Magazine’s Best Emerging Director Award. Furthermore, Kanya directed Like Hamlet, which was performed at the Theatre Arts Admin Collective in 2018 as part of the Annex Theatre Bursary. Her script, mank, was selected for further development by Kunste Onbeperk’s Teksmark and Kanya was awarded a writer’s bursary for this script. Currently, Kanya is a Andew W Mellon scholar, completing her MA in theatre-making at the University of Cape Town. As a young theatre-maker, Kanya is still exploring and questioning the notions around theatre and performance, specifically within contemporary South Africa. In future, Kanya hopes to explore and push the boundaries of theatre, creating dialogues around language, ideology and identity within a multi-fragmented society.